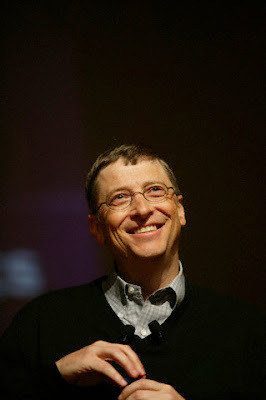 In June 2006, Bill Gates announced he was stepping down from his full-time role at Microsoft and shifting his focus to the Bill and Melinda Gates Foundation. When the world's richest entrepreneur decides to take a step in the nonprofit direction, he may be onto something. In the last decade, a generation of social entrepreneurs has become increasingly visible by creating self-sustaining businesses. Social entrepreneurs are similar to regular entrepreneurs with one main difference--their gains aren't measured in financial profit, but by the impact they have on society. Many entrepreneurs have started social enterprises, breaking nonprofit tradition by blending mission with money, referred to as "double bottom line" businesses. Unlad Kabayan (Unlad) is a non-governmental organization in the Philippines that spurs local development by creating savings groups of migrant workers abroad to invest in community businesses. For example, Unlad helped establish a successful coco coir plant that processes coconut husks for their fiber, which is used for a variety of purposes including creating anti-erosion nets and filling mattresses to be sent to China. Social enterprise is one potentially effective way to combat trafficking, which exists in large part because of poverty and unemployment. Quality of life and monetary stability can increase by creating businesses that generate both financial and social profit, thus decreasing vulnerability to trafficking. Ending trafficking requires a holistic approach including coordinated efforts between governments, law enforcement and the civil sector. At the end of the day, however, trafficking is an issue created by poor economies and the resulting financial desperation; out of a lack of options, men, women and children are forced to place their faith in recruiters who could be, and not uncommonly are, trying to exploit them. Social enterprise provides an out to this desperation: if it can create jobs and do good at the same time, then all the better. The bottom line is a job= money = livelihood = stability = decreased vulnerability to trafficking.